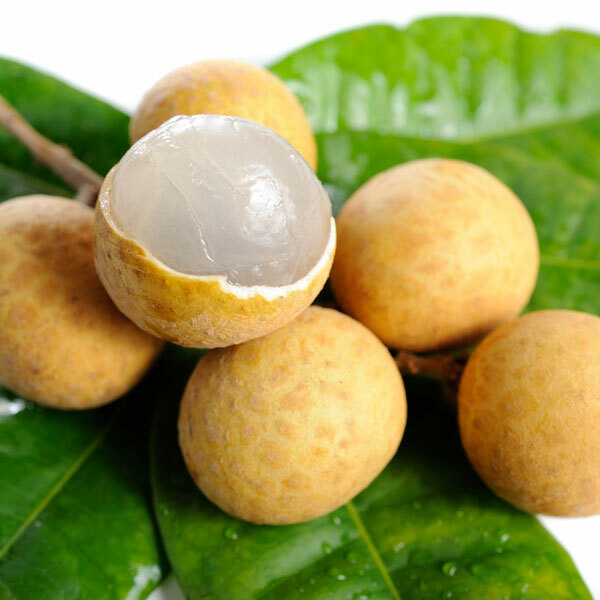 One of the more well-known tropical members of the soapberry family - which also includes the lychee, rambutan, guarana, korlan, pitomba, Genip and ackee - the Longan tree is native to Southern Asia. It typically stands 30 to 40 feet in height, with long, thick and somewhat drooping branches that produce an abundance of clustered round fruit, the ripening of which is indicated by a firm, bark-like shell. Longan fruit, also known as “dragon eyes,” has long been revered in Asian cultures for is delicate, juicy characteristics, and used both fresh and dried for cooking a myriad of dishes.